The new addition of the Chronic asks: What is the African imagination of a borderless world? The African world has produced plenty of these and the Chronic, On Circulations And The African Imagination Of A Borderless World seeks to map and pay tribute to these existing works that articulates histories of circulation from an African perspective: from non-universal universalisms, to the right to opacity, refusing that which has been refused to you, and “keeping it moving” and more. 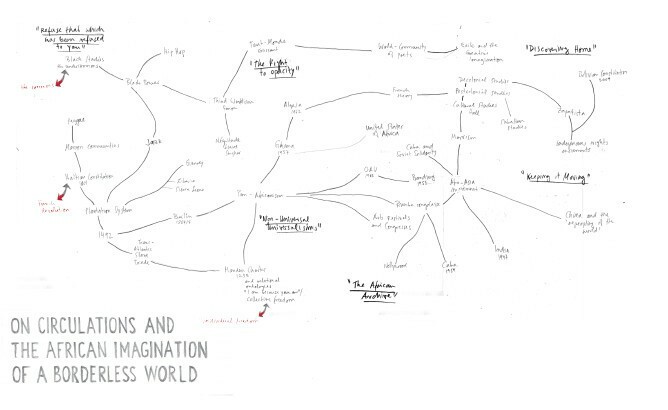 It is thus largely a bibliographic project and the maps produced for this issue are based on a growing library of books, recordings, essays and stories by countless writers, thinkers and musicians around the world. The bibliography below represents a selection of the primary resources used to produce the maps and the issue. It is an part of an ever growing library that re-images our world beyond so-called progressive discourse on “freedom of movement” and “no borders” against the backdrop of deeply Western individualist thinking. Keep coming back for updates. Le discours antillais, Édouard Glissant, 1981, Éditions du Seuil. The idea of a borderless world: Tanner Lectures on Human Values, Achille Mbembe, 28 March 2018, Yale University, https://www.youtube.com/watch?v=NKm6HPCSXDY. African Orature and Human Rights, Micere Mugo, 1991, Human People’s Rights Monograph Series, no. 13. African Philosophy as Expressed in the Concepts of Hospitality and Ubuntu, Julius Gathogo, Journal of Theology for Southern Africa, no. 130, pp. 39 53. Altered States, Anthony Kwame Appiah, 1991, Wilson Quarterly. Beyond a Boundary, CLR James, Duke University Press Books; 1993. Comment philosopher en islam ?, Souleymane Bachir Diagne, 2014, Philippe Rey. Containers, Carriers, Vehicles: Three Views of Mobility from Africa, Clapperton Chakanetsa Mavhunga et. al. 2016, Transfers vol. 8. Decentralization and territorial politics: the dilemma of constructing and managing identities in Uganda, Morris Adam Nsamba, 2013, Critical African Studies, vol. 5, no. 1. Decolonise: Open African Borders, Achille Mbembe 2017, Mail & Guardian. Éloges des frontières, Régis Debray, 2010, Gallimard. Europe’s Other Self, Stuart Hall, 1991, Marxism Today, vol. 35, no. 8. Frères migrants, Patrick Chamoiseau, 2017, Éditions du Seuil. Knowledge of Africa, Knowledge by Africans: Two Perspectives on African Studies, Paulin J. Hountondji, 2009, RCCS Annual Review. Les Migrants et nous: Comprendre Babel, Michel Agiers, 2016, CNRS Editions. Les miroirs vagabonds ou la décolonisation des savoirs (art, littérature, philosophie), Seloua Luste Boulbina, 2018, Les presses du réel. On the Postcolonial and the Universal ? , Souleymane Bachir Diagne, 2013, Rue Descartes, no 78. Philosophie de la relation, Edouard Glissant, 2009, Gallimard. Quand les murs tombent, Edouard Glissant and Patrick Chamoiseau, 2007, Galaade Éditions. Reading Ibn Khaldun in Kampala, Mahmood Mamdani, 2017, Journal of Historical Sociology, vol. 30, no. 1. Sovereignty, Territory and Authority: Boundary Maintenance in Contemporary Africa, Lee J.M. Seymour, 2013, Critical African Studies, vol. 5, no. 1. Rending the Nomad: Film and architecture reading Fulani, Ikem Stanley Okoye, 2010, Interventions, International Journal of Postcolonial Studies, vol. 6, no. 2. The African Frontier: The Reproduction of Traditional African Societies, edited by Igor Kopytoff, 1987, Midland Books. The Evolution of the Administrative Boundaries of. Ashanti, 1896-1951, R. B. Bening, , 1978, Journal ofAfrican Studies, vol. 2, pp. 123- 150. The Ink of the Scholar, Souleymane Bachir Diagne, 2017, Codesria. The Gadzingo: Towards a Karanga Expansion Matrix in 18th- and 19th-Century Southern Zimbabwe, Gerald Chikozho Mazarire, 2013, Critical African Studies, vol. 5, no. 1. 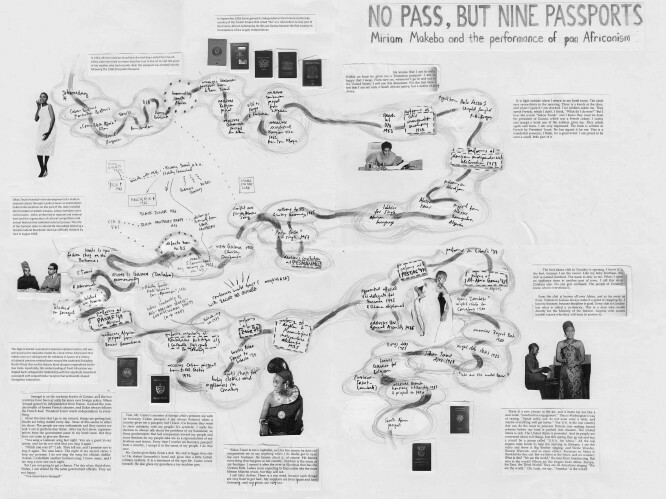 Audre Lorde’s Transnational Legacies, Stella Bolaki, Sabine Broeck, Sabine Bröck-Sallah, 2015, University of Massachusetts Press. The World The Text and the Critic, Edward Said, 1983, Harvard University Press. Tûba: An African Eschatology in Islam, E. Ross, 1996, PhD Thesis, University of Montréal. Une nouvelle region du monde, Edouard Glissant, 2006, Gallimard. 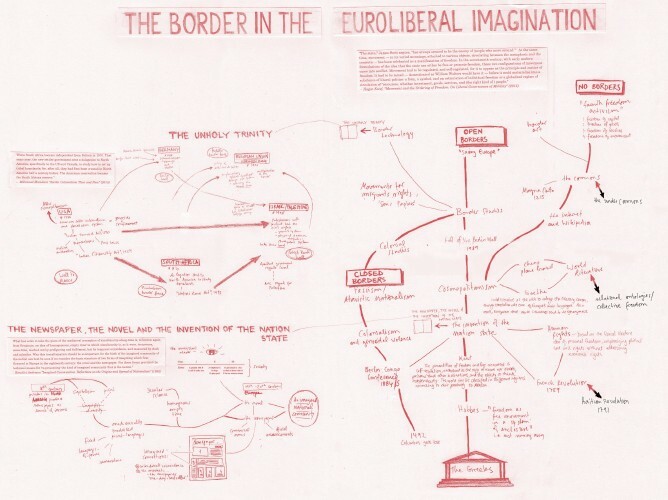 Borderland Europe – The challenge of migration, Balibar, Etienne, 2015, Open Democracy, https://www.opendemocracy.net/can-europe-make-it/etienne-balibar/borderland-europe-and-challenge-of-migration. Exodus, Paul Collier, 2013, Oxford University Press. Movement and the Ordering of Freedom, Hagar Kotef, 2015, Duke University Press. Why No Borders, B. Anderson et al, 2009, Refuge Journal, vol. 26, no. 2. The Rights of Others: Aliens, Residents, and Citizens, Seyla Benhabib, 2004, Cambridge University Press. Zum ewigen Frieden, Immanuel Kant, 1795, F. Nicolovius. Atlas de migrants en Europe, Migreurop, 2017, Armand Colin. Barbed Wire: A political history, Olivier Razac, 2003, The New Press. Border as Method or the Multiplication of Labor, Sandro Mezzadra 2013, Duke University Press. Borderlands, 2016, Michel Agiers, Wiley. Borderwall as Architecture: A Manifesto for the U.S.-Mexico Boundary, Ronal Rael, 2017, University of California Press. Globalization for Development: Trade, Finance, Aid, Migration, and Policy, Ian Goldin, Kenneth A. Reinert, 2007, Worldbank. Human Flow, Ai Weiwei, 2017, AC Films. La forme-camp. 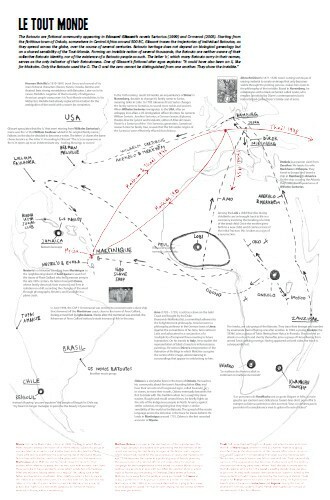 Pour une généalogie des lieux de transit et d’internement du présent, Federico Rahola, 2007, Cultures & Conflits vol. 70, pp. 31-50. Les refugies une bonne affaire, Nicolas Autheman, 2017, Le monde diplomatique. Open Borders: A Utopia?, Harald Bauder, translated by Sophie Didier, spatial justice, 2013, no. 5. Marcos Ramirez Erre: Border art ‘from this side’, Jo-Anne Berelowitz, 2006, Journal of Borderlands Studies, vol. 21, no. 2. Migration Borders Freedom, Harald Bauder, 2017, Routledge. Migrations sauvetage en mer et droits humains, Philippe Rekacewicz, 2009, https://visionscarto.net/migrations-sauvetage-en-mer. Minoritarian Democracy: The Democratic Case for No Borders, James A. Chamberlain, 2017, Constellations vol. 24, no. 2. Passing Through: India’s Border Fence with Pakistan, Elizabeth Rush, 2012, Le monde diplomatique. Re-Imagining the Border Border Art as a Space of Critical Imagination and Creative Resistance, Giudice and Giubilaro, 2015, Geopolitics vol. 20, no. 1. The Age of the World’s Borders, PisseGuri82, 2018, https://moverdb.com/world-border-age/. The Border Art Workshop, Art for Social Change Toolkit Blog, 1984, https://artforsocialchangetoolkit.wordpress.com. The Figure of the Migrant, Thomas Nail, 2016, Standford University Press. The Intermediary Class, Sam Allingham, 2018, The New Yorker. The Jean Monnet Bridge, Center for Political Beauty, 2015, http://www.politicalbeauty.com/rescue.html. The magna carta manifesto liberties and commons for all, Peter Linebaugh 2008, University of California Press. The Mediterranean’s deadly migrant routes, BBC, 2015, https://www.bbc.com/news/world-europe-32387224. 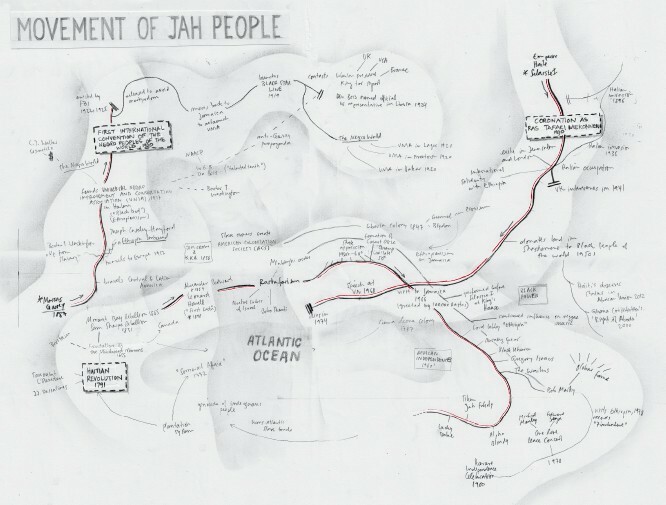 The mobilities of ships and shipped mobilities, Anyaa Anim-Addo, William Hasty and Kimberley Peters, 2014, Mobilities, vol. 9, no. 3. Walled States, Waning Society, Wendy Brown, 2014, MIT Press. We Are Everywhere: The irresistible rise of global anti-capitalism, Notes from Nowhere, 2003, Verso. We Refugees, Giogrio Agamben, 1995, Symposium vol. 49, no. 2. Where on Earth Are You ?, Frances Stonor Saunders, 2016, London Review of Books. Vol. 38 No. 5. Why Immigration Controls Are Not Coercive, David Miller, 2009, Political Theory vol. 38, no. 1. Settler Colonialism: Then and Now, Mahmood Mamdani, 2015, Critical Inquiry vol. 41. Racial comparisons, relational racisms: some thoughts on method, David Theo Goldberg, 2009, Ethnic and Racial Studies, vol. 32. A Political Theology of Race: Articulating Racial Southafricanization, David Theo Goldberg, 2009, Cultural Studies, vol. 23, no. 4. Après le mur. Les répresentations israéliennes de la separation avec les Palestiniens, Cédric Parizot, 2009, Cultures & Conflict, pp. 53-72. Border / Skin, Lindsay Bremner, 2005, http://www.academia.edu/6089661/Border_Skin. 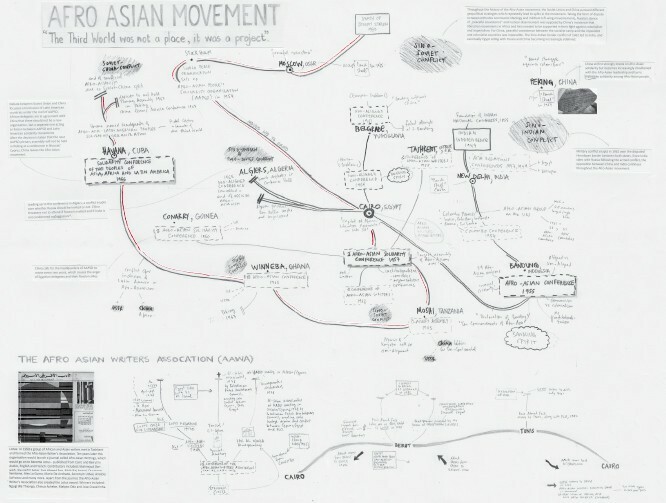 Deutsche Integrationspolitik als koloniale Praxis, Kien Nghi Ha, 2009, transcript, pp. 137-150. Enduring territoriality: South African immigration control, Darshan Vigneswaran, 2008, Forced Migration Studies Programme, University of the Witwatersrand. In-secure identities: On the securitization of abnormality, Merav Amir and Hagar Kotef, 2018, Environment and Planning D: Society and Space, vol. 36, no. 2, pp. 236-254. Israel Closure Policy, Amira Hass, 2002, Journal of Palestine Studies, vol. 31, no. 3, pp. 5-20. Mapping Europe’s War on Immigration, Philippe Rekacewicz, 2013, Le monde diplomatique, https://mondediplo.com/outsidein/mapping-europe-s-war-on-immigration. 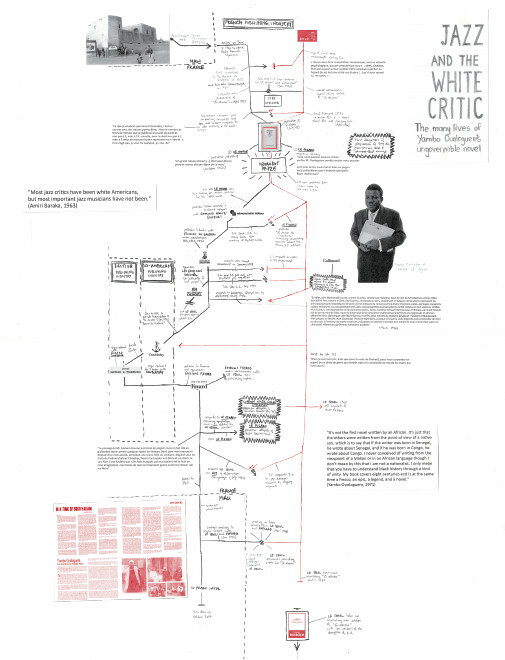 The Architecture of Erasure, Saree Makdisi, 2010, Critical Inquiry, vol. 36, no. 3, pp. 519-559. The EU’s expulsion machine, Alain Maurice and Claire Rodier 2010, Le monde diplomatique, https://mondediplo.com/2010/06/12expulsions. The invention of the concentration camp. Cuba. Southern Africa and the Philippines 1896-1907, Jonathan Hyslop, 2011, South African Historical Journal vol. 63, no. 2. The refugees welcome culture, Joshua Kwesi Aikins and Daniel Bendix, 2015, Africasacountry, https://africasacountry.com/2015/11/resisting-welcome-and-welcoming-resistance. Walking through walls, Eyal Weizman, 2006, EIPCP, http://eipcp.net/transversal/0507/weizman/en. Imagined communities: reflections on the origin and spread of nationalism, Benedict Anderson, 1991, Verso. Africa Unite ! Une histoire du panafricanisme, Amzat Boukari-Yabar, 2017, Éditions la Découverte. Toward the Seventh PAC The Pan-African Congress Past, Present and Future By C.L. R. James, 1976, Ch’indaba. Lotus Magazine, Nida Ghouse, 2015, Chimurenga Chronic/Muzmin. The Pharaoh’s New Clothes, Sophia Azeb, 2015, Chimurenga Chronic/Muzmin. Colonial Architecture or Relatable Hinterlands? 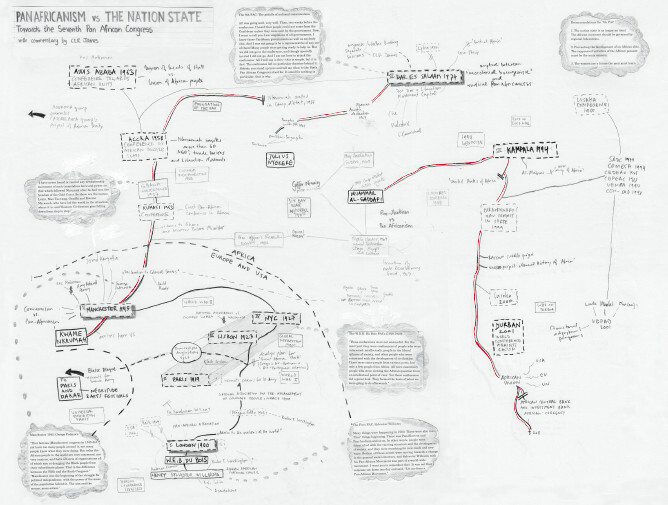 Locke, Nandy, Fanon and the Bandung Spirit, Robbie Shilliam, 2015, Constellations, vol. 23, no. 3. Afro-Asian Third-Worldism into Global South: The Case of Lotus Journal, Hala Halim, 2017, Global South Studies: A Collective Publication with The Global South. Making a World After Empire: The Bandung Movement and Its Political Afterlife, edited by Christopher Lee, 2007, Ohio University Press. Legacies of Bandung: Decolonisation and the Politics of Culture, Dipesh Chakrabarty, 2005, Economic and Political Weekly vol. 40, no. 46, pp. 4812– 4818. 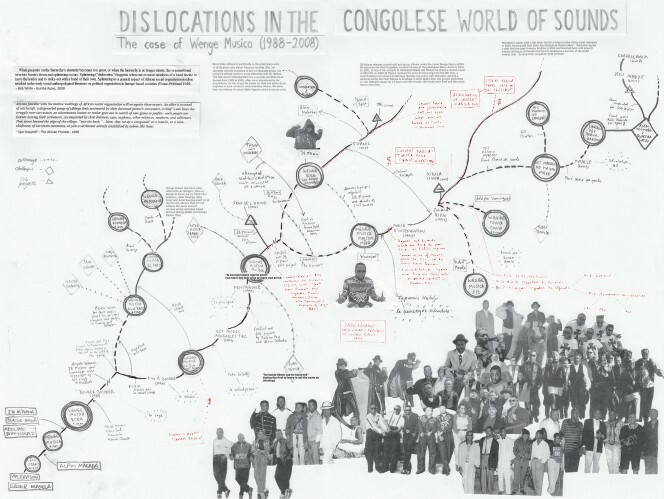 Postcolonialism: From Bandung to the Tricontinental, Robert Young, 2005, Historein no. 5, pp. 11– 21. The Darker Nations: A People’s History of the Third World, Vijay Prashad, 2007, The New Press. 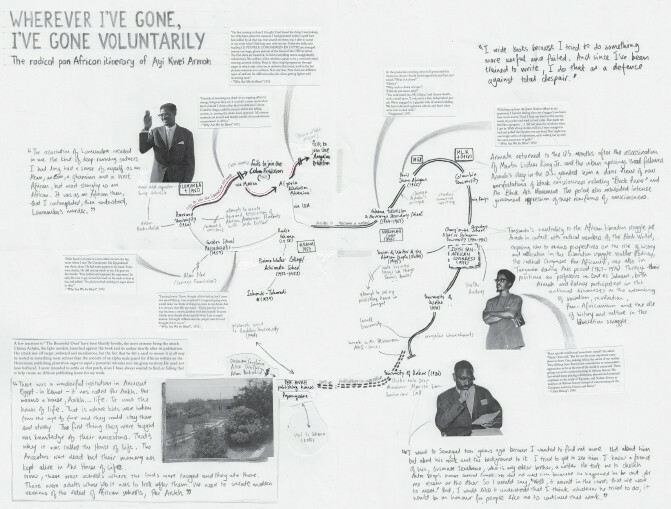 The Midnight Ride of Kwame Nkrumah and Other Fables of Bandung (Ban-Doong), Robert Vitalis, 2013, Humanity: An International Journal of Human Rights, Humanitarianism, and Development vol. 4, no. 2, pp. 261–288. Freedom as Marronage, Neil Roberts, 2015, University of Chicago Press. Fugitif, où cours-tu ?, Dénètem Touam Bona, 2016, PUF. Maroon Societies: Rebel Slave Communities in the Americas, Richard Price, 1979, Johns Hopkins University Press. Makeba: My Story, Miriam Makeba with James Hall, 1988, Bloomsbury. Miriam Makeba in Guinea – Deterritorializing History through Music, Yair Hashachar, 2015, MA thesis, The Hebrew University of Jerusalem. Playing the Backbeat in Conakry: Miriam Makeba and the Cultural Politics of Sékou Touré’s Guinea, 1968–1986, Yair Haschachar, 2017, Social Dynamics vol. 43, no. 2, pp. 259-273. The Miriam Makeba Story: Miriam Makeba in Conversation with Nomsa Mwamuka, Miriam Makeba and Nomsa Mwamuka, 2004, STE Publishers. Miriam’s Place: South African jazz, conviviality and exile, Louise Bethlehem, Social Dynamics, 2017, vol. 43, no. 2, pp. 243-258. Liberated Threads: Black Women, Style, and the Global Politics of Soul, 2017, Tanisha C. Ford, The University of North Carolina Press. Miriam Makeba: Fidel Castro es una de mis estrellas, Cubaencuentro, 2005, http://arch1.cubaencuentro.com/cultura/noticias/20051006/11d15e783a3681722b1599b7ca1ada24.html. Miriam Makeba, l’exilée qui devint Mama Africa, Natou Pedro Sakombi, 2016, Reines & Héroïnes d’Afrique blog, https://reinesheroinesdafrique.wordpress.com/2016/03/04/miriam-makeba-lexilee-qui-devint-mama-africa/. Miriam Makeba: Mama Africa, Gamal Nkrumah, Al-Ahram Weekly Online, 2001, http://weekly.ahram.org.eg/Archive/2001/558/profile.htm. Miriam Makeba: une vie au service d’un art engagé, Michaël Mouity-Nzamba, Bulletin de l’Institut Pierre Renouvin, 2014/2, no. 40, pp. 111-125. Nina Simone in Liberia, Katherina Grace Thomas, 2017, Guernica Magazine, https://www.guernicamag.com/nina-simone-in-liberia/. Obituary: African Icon: Miriam, Thelma Ravell-Pinto and Rayner Ravell, 2008, Journal of the African Literature Association, vol. 2, no. 2, pp. 274-281. Ready for Revolution: The Life and Struggles of Stokely Carmichael (Kwame Ture). Stokeley Carmichael with E. M. Thelwell, 2003, Scribner. The Cultural Revolution, Artistic Creativity, and Freedom of Expression in Guinea, Lansine Kaba, The Journal of Modern African Studies, 1976, vol. 14, no. 2, pp. 201-218. The Voice of (Which?) Africa: Miriam Makeba in America, April Sizemore-Barber, 2012, Safundi: The Journal of South African and American Studies vol. 13, no. 3–4, pp. 251–276. 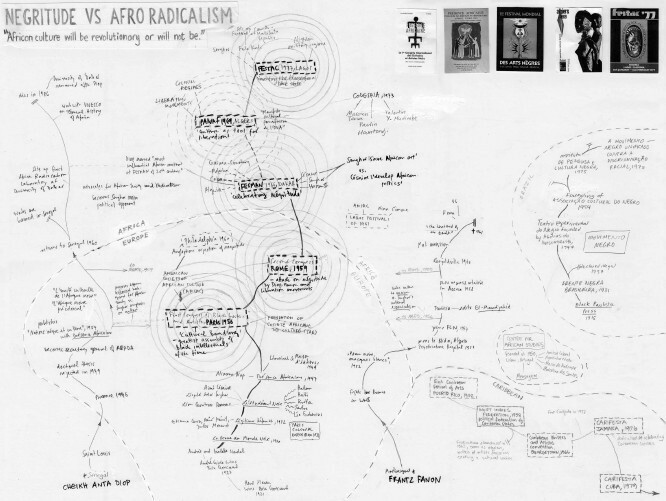 Wherever I’ve Gone, I’ve Gone Voluntarily: Ayi Kwei Armah’s Radical Pan-African Itinerary, Jonathan B. Fenderson, 2008, The Black Scholar, Vol. 37, No. 4, pp. 50-60. The Healers, Ayi Kwei Armah, 2000, Per Ankh. Osiris Rising: A Novel of Africa Past, Present and Future, Ayi Kwei Armah, 1995, Per Ankh. Two Thousand Seasons, Ayi Kwei Armah, 1973, Heinemann. The Beautyful Ones Are Not Yet Born, Ayi Kwei Armah, 1968, Heinemann. One Writer’s Education, Ayi Kwei Armah, 1985, West Africa, pp. 1752-1753. The Eloquence of Scribes: A Memoir on the Source and Resources of African Literature, Ayi Kwei Armah, 2006, Per Ankh. Our awakening. An Evening with Ayi Kwei Armah: Lecture at Berkeley University (transcript excerpt), 1990, Ayi Kwei Armah, http://www.africaspeaks.com/reasoning/index.php?topic=5904.0;wap2. New Insights from Ayi Kwei Armah: Conversation with Ayi Kwei Armah and Ayesha Harruna Attah, 2016, https://www.ghanawebsolutions.com/videos.php?v=knCGdYGJWXs. Ayi Kwei Armah Radical Iconoclast: Pitting Imaginary Worlds Against the Actual, Ode Ogede, 2000, Ohio University Press. JB Mpiana, Wikipedia, 2018, https://fr.wikipedia.org/wiki/JB_Mpiana. Hervé Gola Bataringe alias Ferré chair de poule, Univers Rumba Congolaise blog, 2012, https://www.universrumbacongolaise.com/artistes/ferre-chair-de-poule/?cn-reloaded=1. L’histoire de la separation de Wenge Musica BCBG 4X4, Congo Musique blog, 2010, https://congo-musique.skyrock.com/2891184757-L-HISTOIRE-DE-LA-SEPARATION-DE-WENGE-MUSICA-BCBG-4X4.html. Rumba Rules: The Politics of Dance Music in Mobutu’s Zaire, Bob. W. White, 2008, Duke University Press. Wenge Musica, Wikipedia, 2018, https://fr.wikipedia.org/wiki/Wenge_Musica. Wenge Musica Maison Mère, Wikipedia, 2018, https://fr.wikipedia.org/wiki/Wenge_Musica_Maison_Mère. Made in Congo: Rumba Lingala and the Revolution in Nationhood, Jesse Samba Samuel Wheeler, 1999, University of Wisconsin—Madison. Modernity’s Trickster: “Dipping” and “Throwing” in Congolese Popular Dance Music, Bob W. White, 1999, African Literatures vol. 30, no. 4. Rumba on the River: A History of the Popular Music of the Two Congos, Gary Stewart, 2003, Verso. Terre de la chanson: La musique zaïroise hier et aujourd’hui, Manda Tchebwa, 1996, De Boeck Supérieur. The Genesis of Urhan Music in Zaire, Kazadi wa Mukuna, 1992, African Music vol. 7, no. 2. The Political Economy of Migration and Reputation in Kinshasa, Joseph Trapido, Africa: The Journal of the International African Institute, vol. 81 no. 2, 2011. The value of Africa’s aesthetics, Achille Mbembe, On the Postcolony, 2015, WITS Press. Variations on the Beautiful in the Congolese World of Sounds, Achille Mbembe, 2009, Chimurenganyana Series 1. Livre culte, livre maudit: Histoire du Devoir de violence de Yambo Ouologuem, Jean-Pierre Orban, 2018, Continents manuscrits. 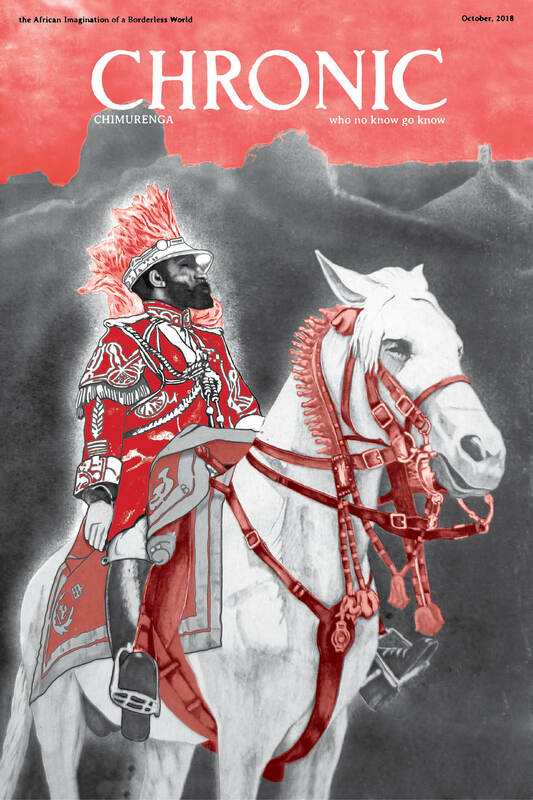 Yambo Ouologuem: Postcolonial Writer, Anti-Wahabist Militant, 2015, Chimurenga Chronic. In Search of Yambo Ouologouem, Christopher Wise, 2012, Chimurenganyana Series 2. Sartorius: Le roman des Batoutos, Édouard Glissant, 1999, Gallimard. Ormerod, Édouard Glissant, 2003, Gallimard. Tout-Monde, Édouard Glissant, 1993, Gallimard. La Lézarde, Édouard Glissant, 1958, Éditions du Seuil. Le quatrième siècle, Édouard Glissant, 1964, Éditions du Seuil. La Case du commandeur, Édouard Glissant, 1981, Éditions du Seuil. Mahagony, Édouard Glissant, 1987, Éditions du Seuil. This bibliography is for the new issue of the Chronic, On Circulations And The African Imagination Of A Borderless World, which maps the African imagination of a borderless world: non-universal universalisms, the right to opacity, refusing that which has been refused to you, and “keeping it moving”.